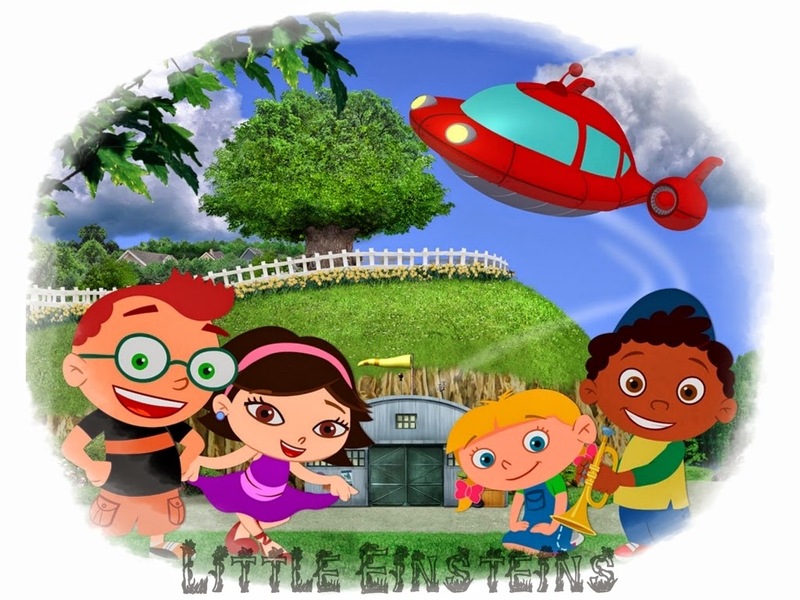 Little Einsteins is another cartoon movie series on Disney Junior television network. This cartoon television series first episode was premiered in Japan on October 5, 2005 and then followed in United States and Europe. 1. 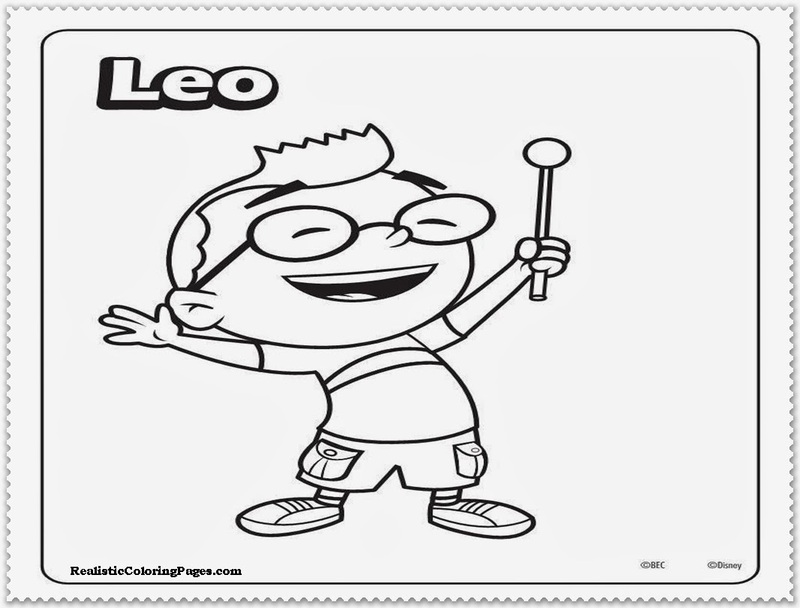 Leo ; Leo is the leader of Little Einsteins. He has red hair and blue eyes, he also uses a glasses. He has a sister named Annie. 2. 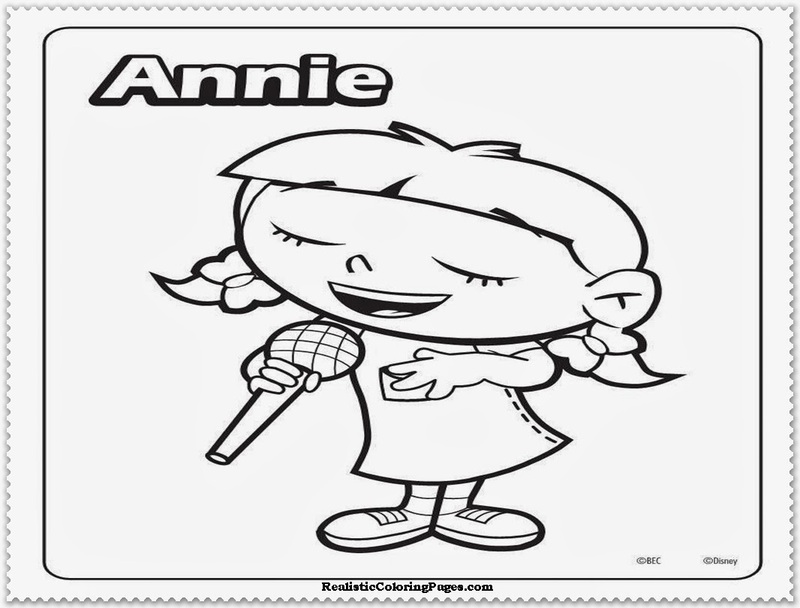 Annie ; Annie is Leo's sister, she was a blonde girls and she like to sing. She also love animals like Dolphines and Horses but she afraid with insect like a spider. 3. 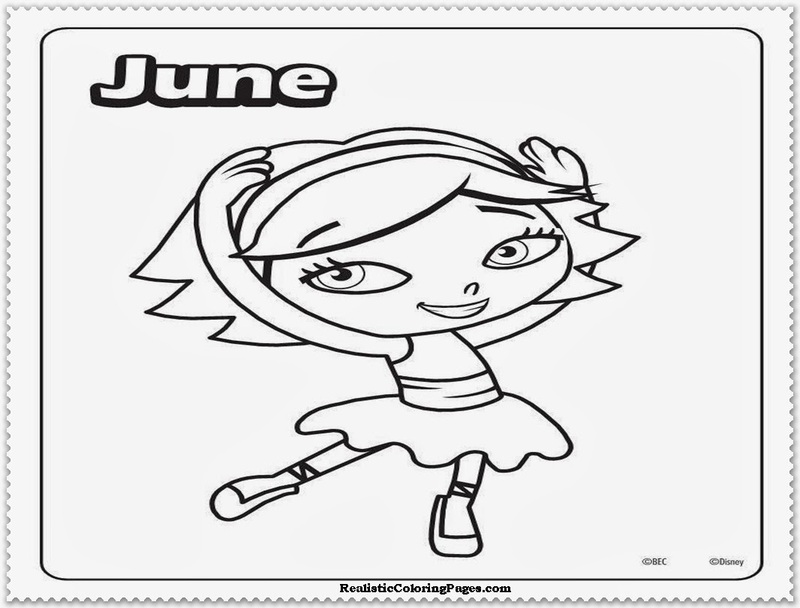 June ; June was a girls who like to see the stars at the night with her telescope, she also like to dance and she can dance very well. 4. 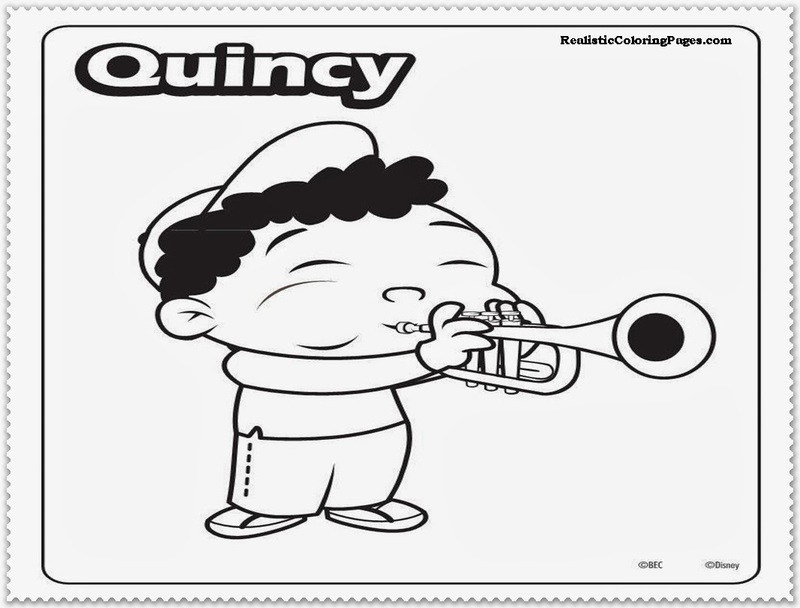 Quincy ; Quincy is a little boys who like music and he can plays many music instruments like violin, guitar and trumpet. 5. 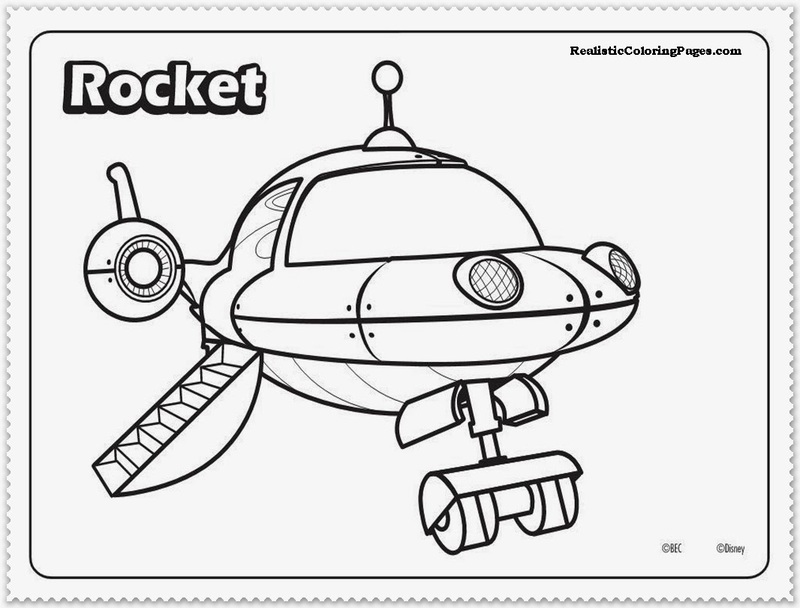 Rocket ; Rocket is a Little Einsteins main transportation, he have many tools and accessories to help the team completing all their mission. 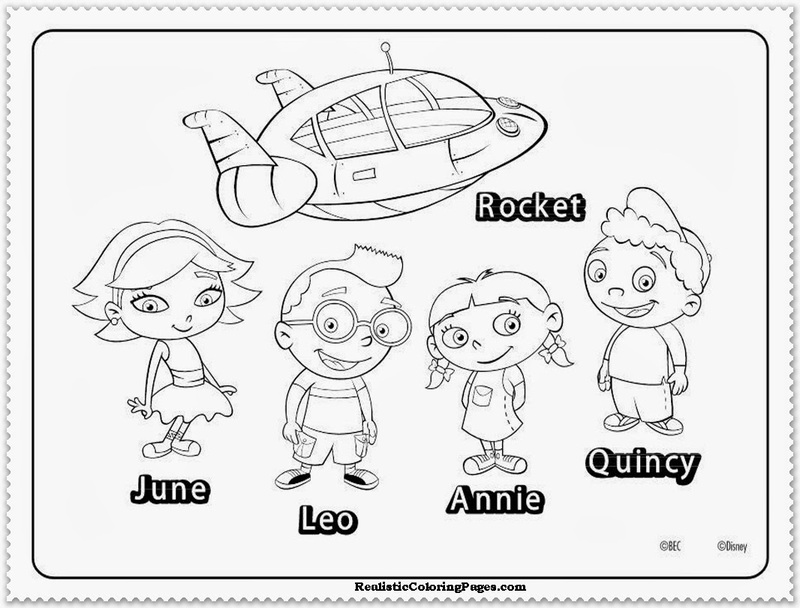 Below is printable Little Einstein coloring pages, I have all of the main characters of this cartoon series coloring sheet like Leo coloring pages, Annie coloring pages, June coloring sheet, Quincy printable coloring pages and also Rocket printable coloring pages for kids.